Expect to be in a position to buy a property soon? Have you visited your bank or lender for a mortgage pre-approval yet? You should…in fact some realtors will be reluctant to spend too much time showing your houses if you haven’t been pre-approved. It’s not that they don’t value your business, they’re actually looking out for your best interests. What will you do if your realtor helps you prepare an offer to buy the ideal property but then your bank declines your mortgage application? Often, what people do is rely on other lenders who can get you that quick approval in exchange for a significantly higher interest rate than you were expecting. There is an easy way to avoid this scenario…get pre-approved. Having a mortgage pre-approval is not the same thing as being pre-qualified for a mortgage. 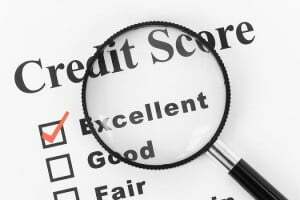 A pre-qualification can be helpful in estimating what kind of mortgage payment you could comfortably carry, but does not take into account the full scope of your credit history. A pre-approval requires your lender to reference your full credit history, provide documentation to verify things like employment history and income and allows them to take into account any assets you hold that could boost your net worth. A pre-approval should result in a written confirmation from your lender that confirms your ability to borrow the funds necessary to buy a home within a certain price range. 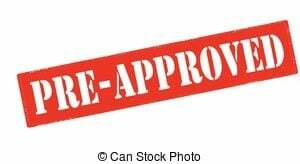 To put it simply, a pre-approval carries more weight. The best case scenario would see you visit a lender to get pre-approved before you begin house hunting. That way you can start your hunt with a realistic price point in mind and with the confidence that there aren’t any credit issues lurking in the background that could be potential obstacles for you. There’s nothing worse that seeing people fall in love with a property, get as far as an accepted conditional offer and then have to pull out of the deal because they can’t secure financing for the amount they’ve just agreed to spend. Having a mortgage pre-approval can also prove beneficial in a competitive offer situation…if sellers have two offers to consider, knowing your financing is already in order can add heft to your bid. 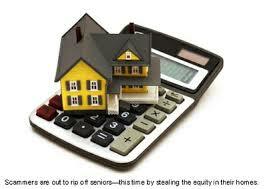 If you’re lucky it may also give you an advantage in terms of negotiating the purchase price. If a seller is in a hurry to sell, a they may be willing to consider a slightly lower offer from you if they know your financing is already in order. One last thing to keep in mind: even if you are able to secure a pre-approval at the beginning of your search, you still need to allow time to finalize the details so it is always a good idea to have your realtor include a finance clause in any offer of purchase that you make. 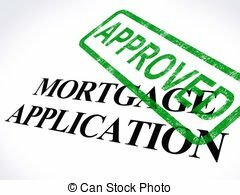 Formally securing a mortgage is a process that you will not complete with one appointment at your bank but getting pre-approved early on helps to keep that process as short as possible.